Science fiction, comic books, film, television, horror, fantasy, animation, pop culture - the Expo truly does have it all! It’s difficult to remember a time before superhero movies drew blockbuster-sized crowds and mayors cosplayed as time-travelling doctors in epic downtown parades, but when Calgary Expo’s organizers set out to create a local fan convention in 2006, the world was just starting to let out their inner nerd. 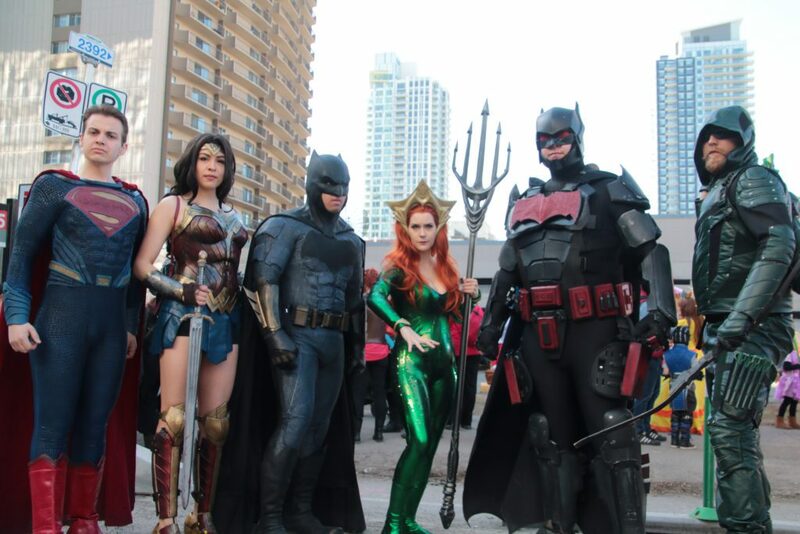 The Calgary Comic & Entertainment Expo was created by a few locals with a love for pop culture who wanted to see a uniquely western Canadian event in their hometown after experiencing jaw-dropping, eye-bulging conventions in other major North American cities. 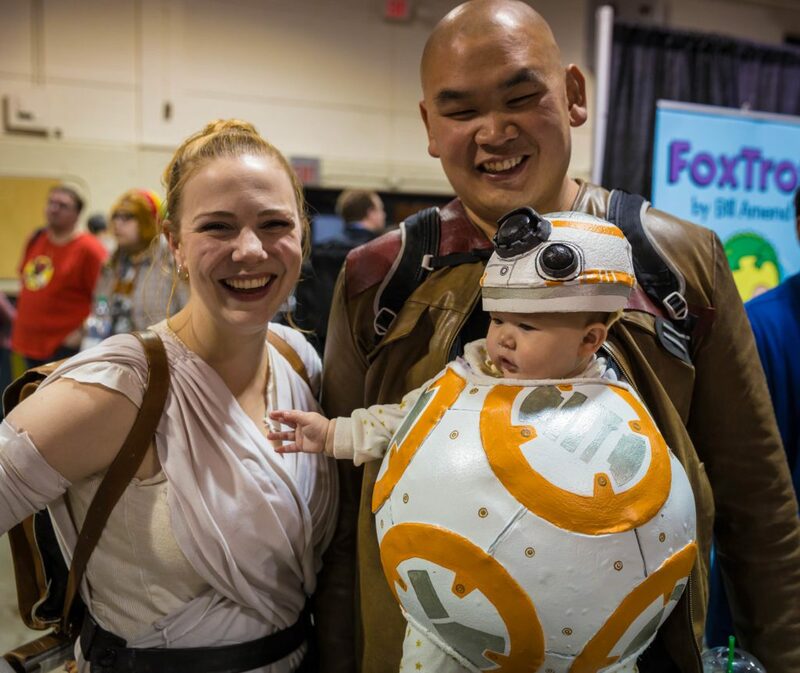 The first Calgary Expo took place in 2006, attracting almost 3,400 attendees; in 2018, the Expo welcomed over 95,000 cosplay fanatics onto its grounds. See Lynda Carter in action in our very own Calgary, Alberta! Wonder Woman herself will be live on stage on Thursday, April 25 with a 60-minute performance of her new show “This Life: My Music, My Story.” Enjoy a beautiful musical journey followed by audience Q&A and stories from her exciting life. Whether you’re looking for an evening of entertainment or the chance to meet her in person, there’s a perfect fan experience for everyone! Tickets range from $20-$195. Remember the day you met Michael J Fox, Ethan Peck or Pamela Anderson like it was yesterday with a professional-quality memento. Photographers from Epic Photo Ops will be on-site to capture your special moments, including an 8×10 photo that prints within minutes or receive a digital copy. You can bring up to three other people in the photo with you to share the cost and get additional prints. Some stars will even do photos at their signing tables, so keep your eyes peeled! Book your photo opportunity here. The POW! Parade of Wonders is a cosplay display celebrating pop culture and creativity in Calgary’s downtown, signalling the official kick-off to the Expo! It’s free to participate, but there is a catch – to walk in the parade you MUST be decked out in cosplay. This event will take place on April 26 starting at 10:30am on Stephen Avenue, running from 8th Street to Olympic Plaza. More than 4,000 cosplayers are expected to participate for over 15,000 spectators – don’t miss the action! Want to participate in the Parade? Click here to register and see a map of the parade route. Zachary Levi may be one of the most respected actors of his generation. You may know him as Chuck Bartowski from the series Chuck, the voice of Flynn Rider from Tangled or Fandral from Thor: The Dark World and Thor: Ragnarok. Zachary is currently shooting a recurring role on Amazons studio’s acclaimed series The Marvelous Mrs. Maisel, which has won two Golden Globes, a Peabody Award and two Critics’ Choice Awards. He recently finished production as the title character in David F. Sandberg’s highly anticipated film, SHAZAM!, coming out April 4. Catch Zachary Levi appearing at the Expo on both Saturday and Sunday, barring any overlapping professional commitments. Start brainstorming for you and your dates costumes, because this contest gets competitive! All contestants must be 13-years-old and above, adhere to the costume and prop policy and be ready for an epic battle! With great prizes to be won, the contest can only allow 75 entrants, so make sure to register on Friday or Saturday at the costume contest booth. Click here for full Walk-On Costume Contest details. Looking for something a bit more competitive? Apply for the Master of Cosplay Grand Prix instead – registration closes April 11. Well if those date ideas didn’t get you excited for the big weekend, we don’t know what will! We are pairing up the Calgary Comic & Entertainment Expo to give away a pair of four-day weekend passes to the Expo – visit our Instagram page for full contest details! Cost: Tickets bought in advance range from $20-50/day. Buy your tickets to the Calgary Comic & Entertainment Expo here!